We depend for content on our writers, filmmakers and photographers who volunteer their time and efforts. In return we hold networking events and writer workshops for contributors. 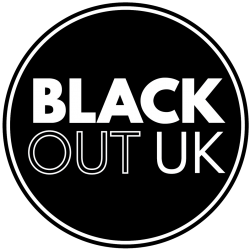 If you are black and gay in the UK and have got something to say, say it here. Written articles should be short – ideally 400 – 750 words – and should seek to appeal to a non-expert audience, avoid jargon, and if published elsewhere in advance must have the necessary permissions regarding copyright. Films and photography should be original or come with the necessary permissions for publication. Contributors will share copyright with BlackOut UK under a Creative Commons licence – www.creativecommons.org/licenses/by-nc/4.0 which means that they will be able to publish the article elsewhere, as long as credit is given to BlackOut UK. Our editors are committed to developing new voices so are happy to work with you if you feel that you are a less experienced writer, photographer or filmmaker. We will be hosting events to support writers’ development.